Yonally talked in our interview about his other inspiration, co-writer Marc Smith. After writing the initial piece Tightwire, Smith wanted to continue and finish the story of the characters introduced. Yonally's enthusiastic explanation of the previous story made me interested in seeing Circo Tap. Tightwire was a behind-the-scenes show, developing characters and presenting the storyline with narration. 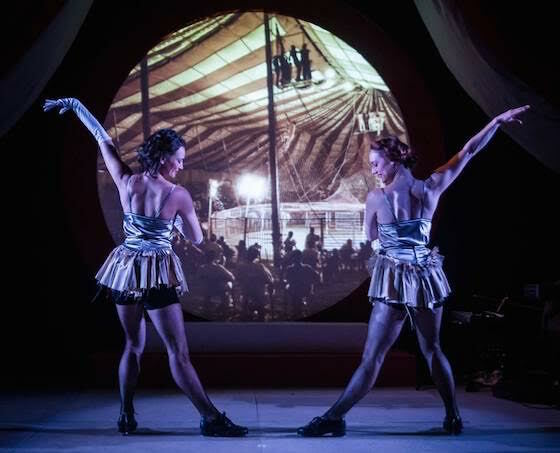 Circo Tap is a front-of-house story with the Ringmaster leading you through the performance. Circo Tap enhances the previous production and includes a special finale that will "take you through an extraordinary adventure." Circo Tap is only being performed in Chicago, although the core group of Chicago Tap Theatre has been a part of a traveling tour. Their travels have allowed them to meet people who are equally passionate in spreading the arts and helping them implement their work as artists. Collaboration is key for this performance to succeed. CTT has hired a rhythmic gymnast, found stilt performers from a local stilt dancing company, practiced with a live five-piece band and incorporated lighting and video production. Costume designer Emma Cullimore researched how to produce innovative stilt artist costumes and handmade all of the costumes for the production. Yonally describes the incredible opportunity for the CTT artists to connect with the audience and engage each person individually. By tapping into the energy of the 30 to 40 artists involved in one production, Circo Tap will express joy, sadness, danger and love through its cast members' love of the arts. The live band, another performance in itself, carries you through the storyline lead by CTT Music Director Kurt Schewitz. Additional choreography by Rich Ashworth and Valerie Lussac will be featured. The cast of Circo Tap includes Mark Yonally, Jennifer Pfaff Yonally, Kirsten Uttich, Jessica Williams, Sioned Papporotto, Isaac Stauffer, Aimee Chase, Johnny Huntoon and Marc Kelly Smith. 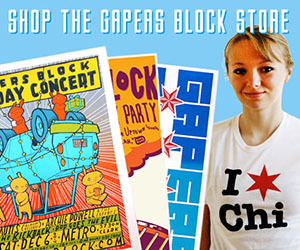 Chicago Tap Theatre began in 2002 as a dance company. Growing quickly and performing exclusively with live music, the theater company has expanded with tours nationally and internationally. Their pioneered format is called tap-opera, where the dancers tell a story with intriguing characters and fascinating plot lines. Their live music ranges from Duke Ellington's jazz to Davie Bowie's rock. You can see Circo Tap at 8pm Saturday at the Athenaeum Theatre, 2936 N. Southport. Tickets are $22-37 and can be bought online or by calling 773-935-6875. Can't make it this Saturday? 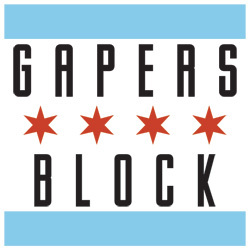 Chicago Tap Theatre (CTT) presents its next Chicago performance in December. The holiday show, incorporating winter, Hanukkah and Christmas pieces, tends to sell out every year. Visit www.chicagotaptheatre.com in the fall for more information.